How Much Does a Mechanic Make in Nevada? Automotive technician jobs in Nevada have an average mechanic salary of $40k, while the national average is roughly $37k. Thinking about automotive technician jobs in the Silver State? Nevada is a great place to live if you want to be a mechanic. From Reno to Carson City to Las Vegas and everywhere in between, there are shops in need of skilled, expert technicians. The national average annual salary for an automotive technician is roughly $37,000 but in Nevada, the average is $40,700. So, you’re already a leg up on other areas of the nation, but with the right training and education, and a little bit of planning, you can actually earn substantially more. Most of these courses will take about a year to complete, although some are six-month courses. Once you’ve completed yours, you will have the grounding in the basics most employers in the industry expect. You should be able to find an entry-level job at this point, although your pay will reflect the fact that this is only an entry-level position. Your next step should be to pursue your ASE certifications. The National Institute for Automotive Service Excellence has been the gold standard for the automotive industry for a long time. Today, the NIASE offers computerized testing at monitored testing facilities across the nation, including in Nevada. You’ll find many different certification courses that can be taken, which allows you to pursue your interests, as well as specialties that will be most valuable to you in Nevada. For instance, air conditioning certification would be a very wise move, particularly if you live and work in the valley as opposed to working near Tahoe or in Truckee. You can (and likely should) also pursue your master ASE certification. This proves that you have mastered a very wide range of topics related to auto repair, maintenance and service, and will ensure that you have access to some of the highest paying automotive technician jobs in Nevada. Plan carefully, and get the education you need. It is possible to earn a very good salary as an automotive technician in Nevada. 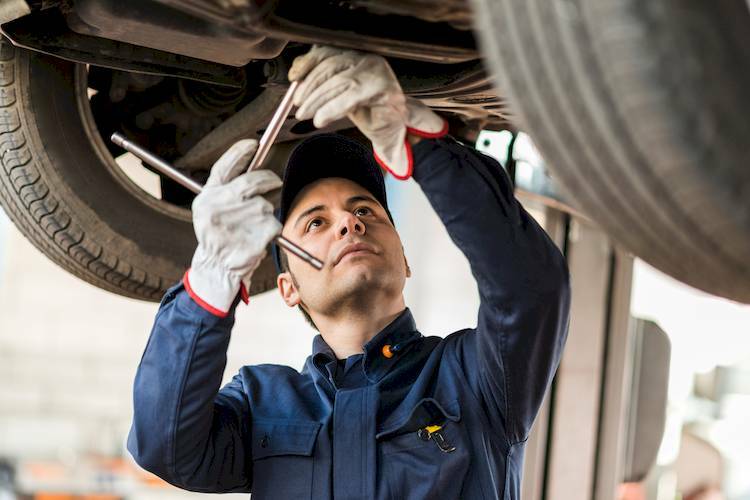 While there are many career options for mechanics, one option you might consider is working with YourMechanic as a mobile mechanic. YourMechanic technicians earn up to $60 an hour and complete all work onsite at the car owner's location. As a mobile mechanic, you control your schedule, set your service area, and serve as your own boss. Learn more and apply. Wheel bearings allow the car's wheels to give you a smooth ride. A howling or grinding noise is a sign that your hub bearing should be replaced.